We had such a wonderful stay at Seaspray in March 2019. We travelled from Kent to attend a close family memorial in St Mawes and Seaspray was ideally located for everything we needed. 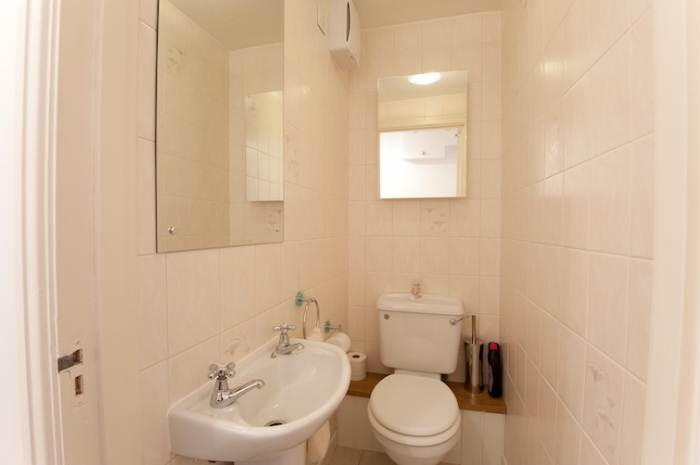 The owners had equipped the apartment with everything you need. Even thinking of beach chairs and crabbing equipment! WiFi would have been useful in the apartment but luckily we had enough 4g to cover us for the weekend. We would absolutely recommend staying at Seaspray for a trip to St Mawes. We booked the cottage as a base for myself and my bridesmaids to get ready for our wedding at St Mawes Castle on the 26th August, planning to stay for a local honeymoon the following week. The apartment is somewhat difficult to find (the intructions say "go downstairs" but don't detail that these stairs are inside! ), also we had expected there would be parking associated with the property from our booking - there is a pay and display car park, this may have just been our misunderstanding. The local pay and display was terrible, with machines charging £30 for "one week" but printing a ticket valid from Saturday to 8am Wednesday morning. We got this extended but it was a lot of hassle. The apartment is mostly underground so has a vaguely musty smell, but this isn't overpowering (on other days there is a strong smell of the dentist next door). The keys are conveniently accessed via a safe key box by the door - this is a great idea. One of our first discoveries was that there was no wifi, and no phone signal. As we were getting close to our wedding day this made things rather stressful, and we might have booked somewhere else/ made other arrangements if we had known, to ensure we could make any last minute communications! It seems reasonable to expect a rental property to have wifi in 2017, and if not, for this to be communicated during booking. The apartment was very clean - except for a couple of silverfish that we encountered on the kitchen floor on our second day - not very welcome visitors! The main bed in the bedroom was comfortable, as was the sofa bed. We were woken very early on the Saturday morning by a noisy delivery to the Co-op, but this is clearly outside of your control, as the windows at are at external floor level. This also led to an awful lot of "peering in" by passers by - some kind of net curtain or privacy blind would help. The shower drained very slowly and looked as though it might overflow a few times - it needs a proper clean! The roof terrace is wonderful, with stunning views and a nice seating area - we were pretty much there on our own whenever we visited, which was lovely. These are some niggling snags but nothing that spoilt our lovely holiday in St Mawes - and perfect wedding day! Reply from Tess and Pete. Owners of Seaspray. First of all we would like to say congratulations on your wedding and glad you had a lovely stay in St Mawes. We would like to respond to your comments as follows; Seaspray is not advertised as having Wi Fi, or having a parking space, and the advert is perfectly clear on that respect. The car park instructions do have to be read carefully to then enable you to get a weeks ticket. Seaspray is not 'underground' and we have never had any previous comments regarding musty smells, smells from the dentist, or mention of silverfish! We know from our own experience that people cannot 'peer in', generally you can only see your own reflection in the glass. 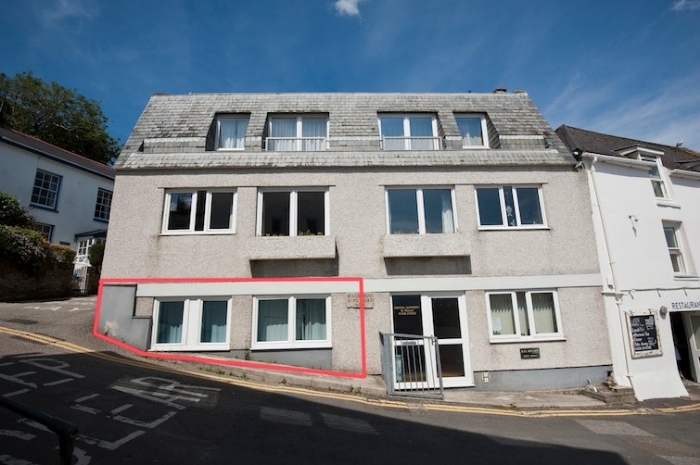 You cannot see into the flat unless it is dark outside and the lights are on inside the flat, with the curtains open, which would be the same for many properties along the seafront. Regarding the shower tray and drain outlet, we must emphasize that the housekeeping is scrupulously done after every booking, and the flat is always spotless before the next guests arrive. We can only suggest that with 4 adult women using the shower it could have unfortunately created a build up of hair in the drainer of the shower tray. Please rest assured that the drainer is always properly cleaned. I do hope you find these answers satisfactory to your 'snagging list', and would consider visiting again in the future. Second visit to this lovely apartment. Deceptively spacious and extremely comfortable. The clever layout means that everything is to hand. My children loved the comfy pull out sofa bed. Great spot right on the waterfront, enabling us to buy food as we needed. Surprisingly quiet (both day and night!) given the location. Plan to be back next year! We had a wonderful week in St Mawes & only took the car out once. We walked & used the ferries other times. Plenty to see & do, excellent food. We can recommend the Idle Rocks for both the cream tea & dinner, the Victory pub & the St Mawes hotel. Cafe @ Chandlers does excellent coffee & breakfast. Good service in all shops & restaurants. The vault was fine, very overlooked so we kept the curtains drawn all the time. Noisy at night if you had the window open but not for very long. Excellent position & well looked after. Reply from Tess and Pete. 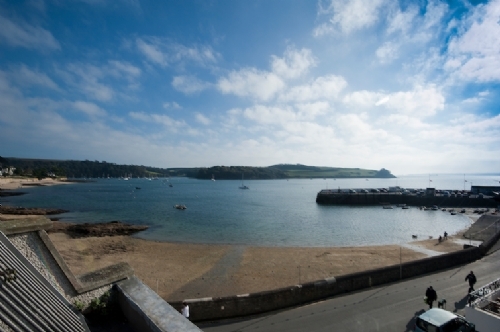 Owners of Seaspray We were very pleased to hear that you enjoyed your holiday in St Mawes. We were rather disappointed that you referred to Seaspray as The Vault! With regard to keeping the curtains drawn all the time, we were rather surprised to see that comment. Because the flat is so well situated near the sea front you do get people walking by, but overall St Mawes is a very quiet relaxing place. We know from experience that you only see your own reflection if you walk by the windows from outside. You cannot see into the flat unless it is dark outside, and the lights are on inside the flat with the curtains open. We do hope you would consider returning in the future. This was a lovely holiday enjoyed by my wife and I with our two grandchildren age 7 & 9 . The apartment was in a perfect position with a beautiful sea view. It was in good decorative order and well equipped. We were able to swim in the sea by simply crossing the road, our grandchildren were particularly happy with this and made lots of friends. St Mawes itself is a very pretty seaside resort with numerous local beaches to visit and we will definitely be coming back. The ground floor accommodation lacks privacy. Both rooms are constantly overlooked by the passersby. Also, not having good reception for telephone within the flat is a constant source of irritation. The lack of Broadband facility has beeen another frustrating experience. The location of the flat is however good. Also facilities within were satisfactory. 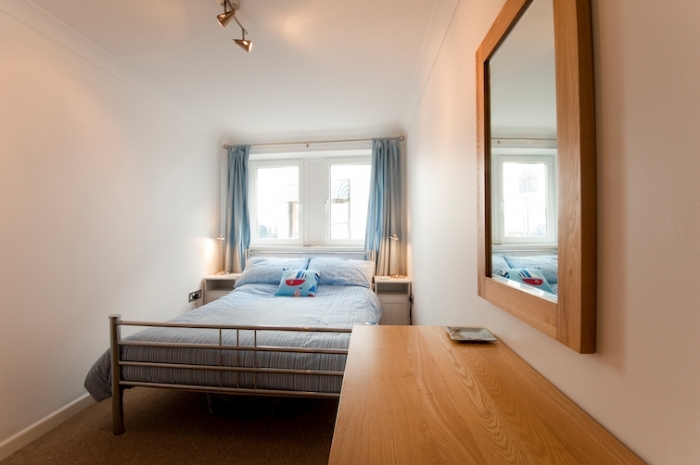 We are in two minds in recommending this holiday flat to others. It's not value for money. Reply from Tess and Pete. Owners of Seaspray. 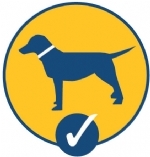 We were very disappointed to hear that you would not recommend Seaspray to others. The flat is not advertised as having broadband, and the phone reception can be problematic at times in the whole of the beautiful Roseland Penninsula, not just Seaspray. We know from experience that passers by cannot see into the flat unless its dark outside, and the lights are on inside with the curtains open. This would apply to most of the properties along the seafront of St Mawes! Most enjoyable stay like home from home highly recommend its in a good location with good views. Excellent apartment with everything you need. 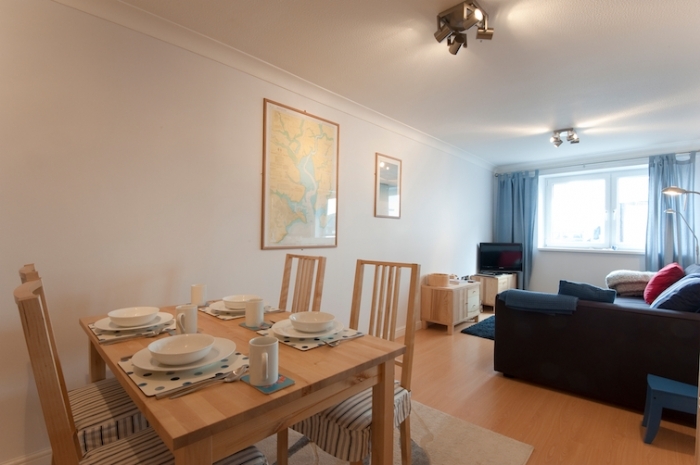 Situated next to the sea front with a lovely view on the harbour. Within a minutes walk to the restaurant/pub/shops. It also had a roof terrace with a lovely sea view. We hopefully will return. Very central to shops and restaurants. Car park just around the corner, Apartment very clean and well equipped but unfortunately the windows are a street level so passerby can watch you all day. We kept the curtains closed and the lights on! Ok in winter but Summer could prove a problem. Noisy footfall from passers bye. Reply from Tess and Pete. Owners of Seaspray Seaspray has an excellent situation near the harbour wall with fantastic views, so there will be a certain amount of passers by. However, they don't watch you all day, they cannot see into the flat unless its dark outside and you have the lights on inside with the curtains open. Its rather a pity that you felt you had to keep the curtains shut all day and miss out on that lovely view! We had an amazing weekend at Seaspray. Apartment was in a fantastic location by the sea and the roof terrace is beautiful to look out from and relax. The apartment it's self is very clean and well equipped. I took my mother and six year old all of which we had a lovely holiday. Just returned from a week at Sea spray - it is a lovely, clean, & well equipped apartment in a great central location. Would definitely recommend. If mobile phone coverage is important to you then it's worth mentioning that you do need to wander up the road a bit to get a signal (but that down to the coverage of the general area and not criticism of the apartment). This actually suited us as we were after a relaxing holiday, also given how pretty St Mawes is wandering up the road is not a bad thing. Finally Cornwall Cottages were very helpful during the booking process and no problems there either. Great holiday let with a stunning view. 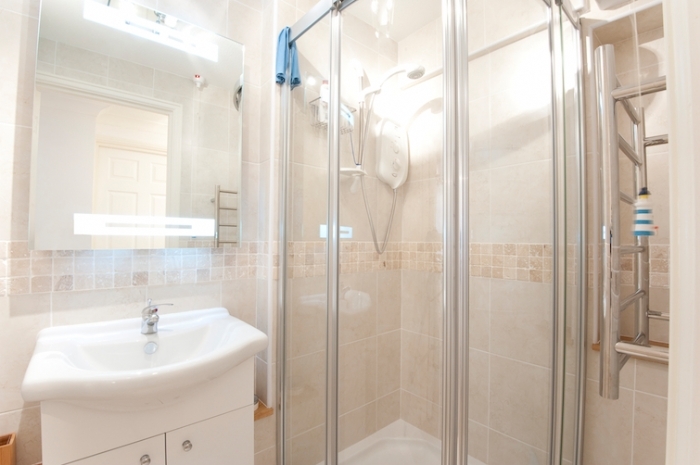 Immaculately clean with everything you need for a comfortable stay. Central harbour front property with a great fish and chip shop around the corner. Was great to find a reasonable apartment in an expensive but lovely town. Seaspray was so clean and well equipped they have thought of everything. We didn't mind being on view although this may put some people off. Grat roof terrace although we had problems with the key which was very stiff. Apart from that cannot fault it. GREAT LOCATION OVER LOOKING THE HARBOUR, THE WINDOW IS A MOVING CANVAS. VERY GOOD WEATHER FOR SEPTEMBER, HENCE LONG WALKS WITH SEA VIEWS ALL THE TIME. TO EAT OUT IN ST MAWES CAN BE EXPENSIVE, BUT PUBS IN THE LOCAL AREA ARE VERY GOOD AND REASONABLY PRICED. THE ONLY DOWN FALL TO SEASPRAY IS THE TV SIGNAL KEEPS FREEZING OR DROPPING OUT, THIS NEEDS ADDRESSING AS IT CAN BE IRRITATING AS THE NIGHTS DRAW IN. We had a very comfortable stay in Seaspray. The apartment was everything it promised to be. We would certainly consider returning. The roof terrace was a bonus. This was our 4th year visiting St Mawes so we knew where we were going to stay from the outside, we were absolutley delighted when we entered Seaspray. It was so bright and clean and smelt really fresh. The owners have definately put in a lot of thought and effort into making their clients comfortable. Everything you needed was there. The roof terrace was a definate bonus to get a good view of the Harbour. The only thing we didn't like was that you could be looked at by passing people, Net curtains may be an idea but it may not be possible as the windows are also the fire escape route, we actually didn't open the bedroom curtains all week for privacy.However it didn't spoil our stay and we will definately be booking again.Thanks very much. We had a fantastic stay in St.Mawes in no small part due to our accommodation in Seaspray. It was very clean, well equipped - including local guides, games, DVDs etc. - and lacked nothing in the way of home comforts. Fortunately the weather was fantastic but it was always good to get back to Seaspray to cool off and recover on the roof terrace. I was very impressed with the standard of the flat as a whole. a great amount of attention to the details made for a much more pleasant stay. The flat is well located and was very comfortable - highly recommended. 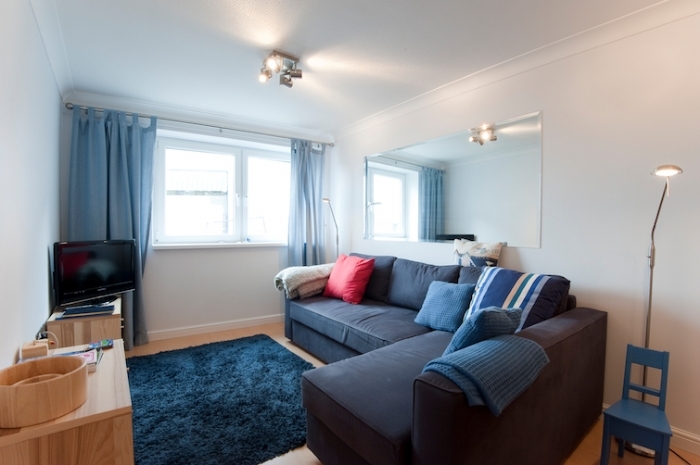 Seaspray was a fantastic flat in a great location and was clean and tidy with everything you could need. WouId definitely stay there again. To be able to see the beach and see and be that close to it was great. St mawes was a picture perfect location. 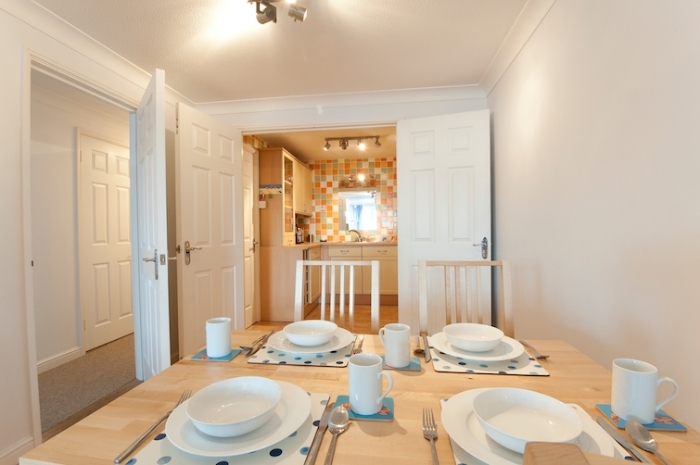 An ideally located apartment, in a beautiful village, that was just right for our small family. Very good facilities and cleanliness, with all the comforts of home. Highly recommended. 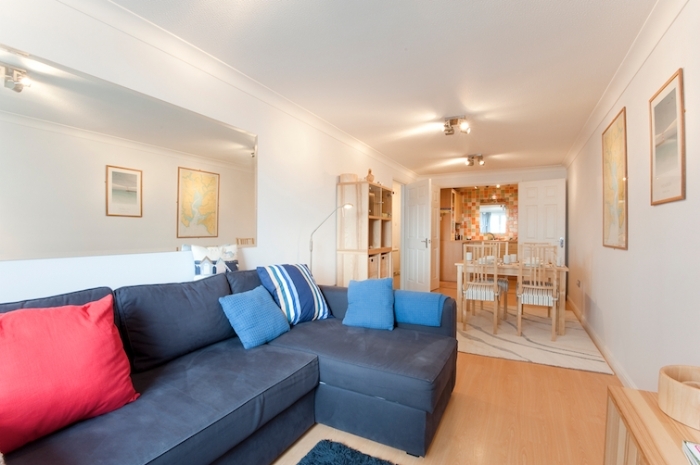 Seaspray is a fantastic apartment! it was clean, spacious, very comfortable, excellently located and had everything I needed for an enjoyable stay in St. Mawes…. I couldn't have asked for more. Wonderful time. Beautiful walks, so pretty. Very relaxing. Flat has everything, we will be back. Delightful flat, home from home. Love the area and walking. Perfect! We will return. What a weekend of weather to revisit Seaspray. Great flat, great position. We'll be back yet again! Amazing flat, so clean. Relaxing place, great position. Fantastic position. Have enjoyed some hot days with lovely scenery. St Mawes is so relaxing and Seaspray has a very welcoming feel. Beautiful flat, really enjoyed exploring the area. Slept soundly every night! Had a wonderful week in a great flat. Good views. St Mawes is a lovely place. Fantastic holiday, lovely flat and situation. We will return. Flat brill!! In love with St Mawes, kids love it! Roll on summer! 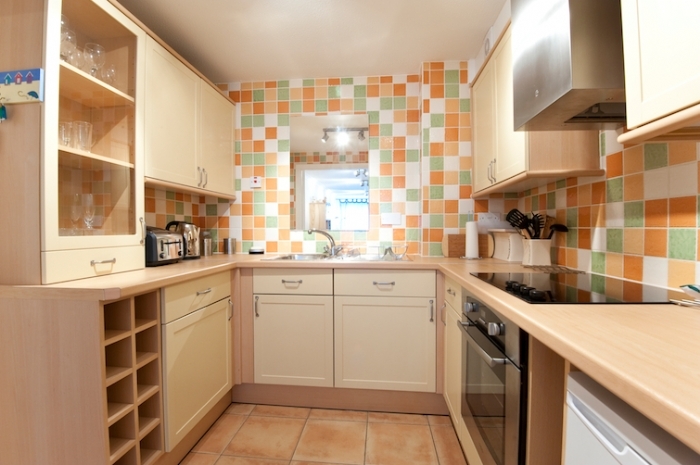 What a lovely well equipped fab seaside flat, really home from home. See you again soon! Set right in the centre of the lovely village of St Mawes just a few steps from the harbour, Seaspray is the perfect base from which to explore the beautiful Roseland peninsula. Within the popular Beach Hall building, Seaspray is so conveniently positioned in this famous waterside village with beaches, a range of restaurants, pubs, cafes and shops are all close at hand. Ferries run from the harbour in St Mawes to Falmouth and around the estuary and the whole area is a haven for walkers. 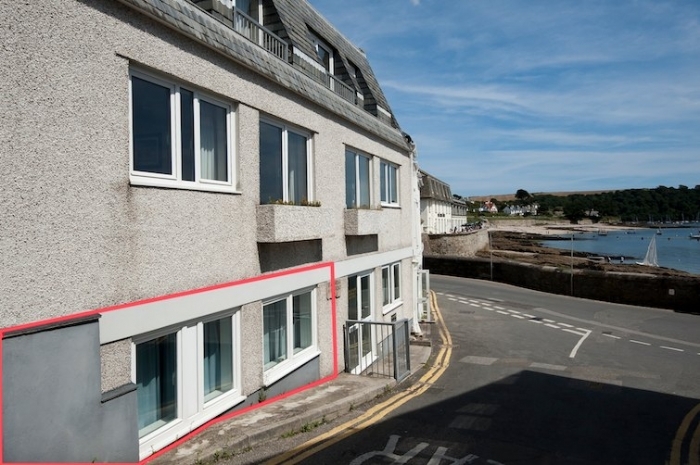 This one bedroomed apartment is beautifully presented, well equipped and has a view towards the harbour and the entrance to the Percuil River. There is the added bonus of use of the roof garden at Beach Hall, fully enclosed, which has stunning panoramic views over the Percuil River, St Mawes harbour and the coastline beyond. Here you can enjoy relaxing with your morning coffee, lunch, or an evening drink before the sun goes down on another perfect day. 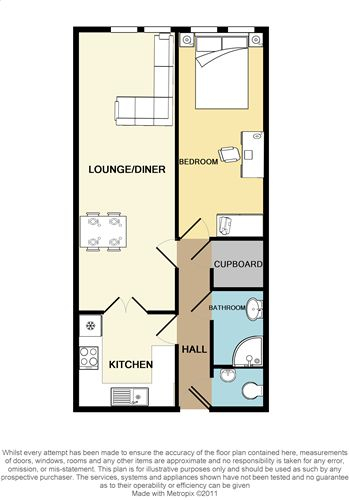 Ground Floor Only accessed by stairs from first floor: Open plan dining / sitting room area with double sofa bed. 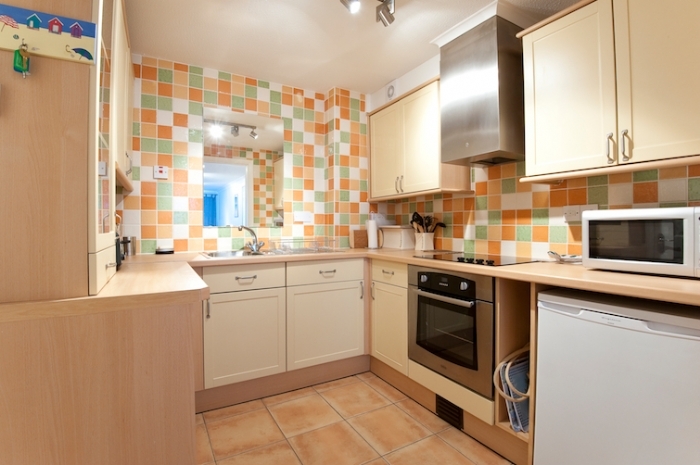 Kitchen, double bedroom, a shower room and separate WC. Exterior: A shared roof terrace with magnificent views out to sea. Shared external furniture is provided on the roof terrace. The deck has external table & chairs. Heating is via night storage & panel heaters. The kitchen has a range of equipment. 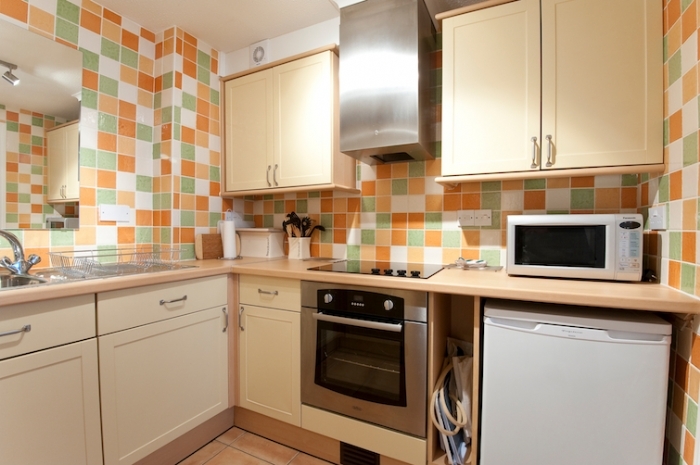 There is an electric oven and hob, a microwave, toaster, kettle & fridge with an ice-compartment. The sitting room area has a flatscreen digital Freeview TV & DVD player, radio & CD. There is an iron & ironing board. There is a coin operated laundry room on site which is available for guests use. Electricity, heating, bed linen & towels are all included but you will need to provide your own beach towels. Regrettably no dogs and no smoking is allowed. Please note although ground floor, the entrance is on the first floor and there are steps leading down to the property. There is a public car park just by the building where weekly tickets can be purchased. A delightful & well equipped first floor apartment in the heart of St Mawes with its butchery, bakers, supermarket, chemist etc plus renowned hotels and restaurants and a castle built by King Henry VIII. 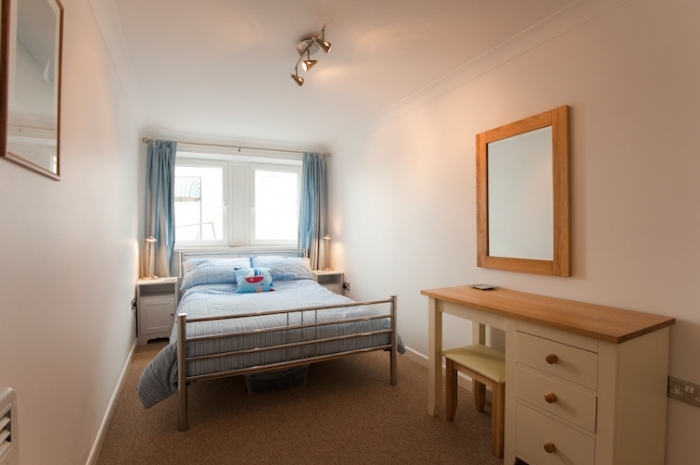 The sitting / dining area is light and airy with a large picture window and the Master double bedroom has stunning views. Benefits include a stunning roof terrace and a dedicated parking space. Dog friendly. 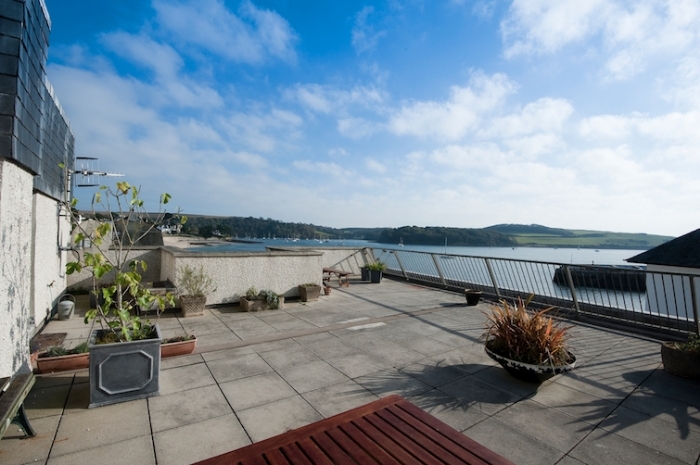 A lovely apartment overlooking the harbour in St Mawes. Perfectly located in the beautiful village of St Mawes, with beaches, pubs & shops all within walking distance. Ideal for those wanting great waterside accommodation for a couple or group of friends in the heart of St Mawes. 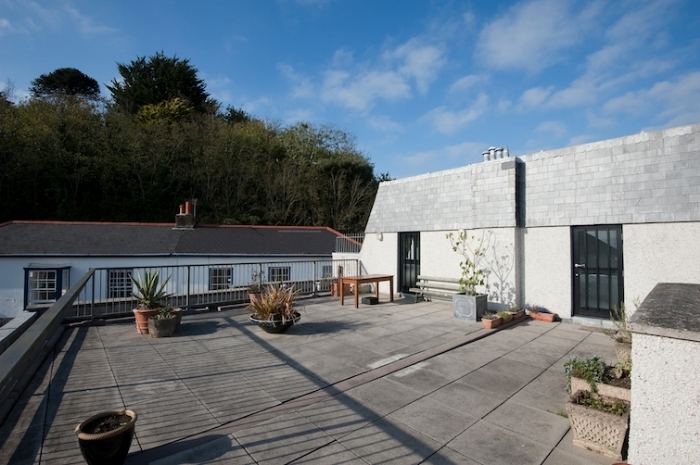 The property comes with a fantastic shared roof garden with the most amazing views over the harbour & bay. The apartment also comes with its own parking space and has easy access for all. Dog friendly. 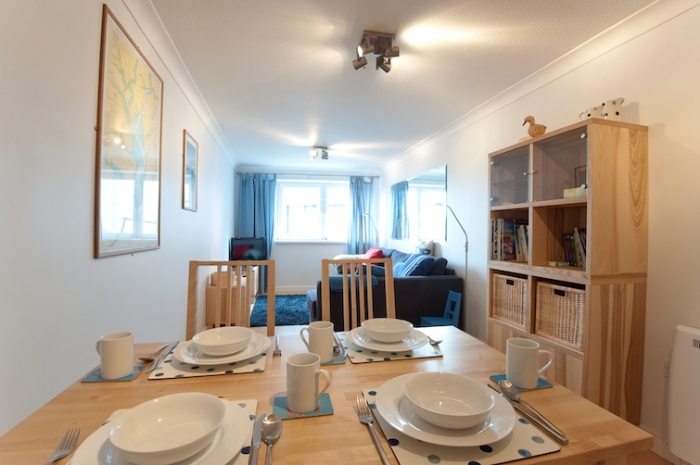 Potted Shrimp is a superb little bolt hole, perfect for a romantic getaway. 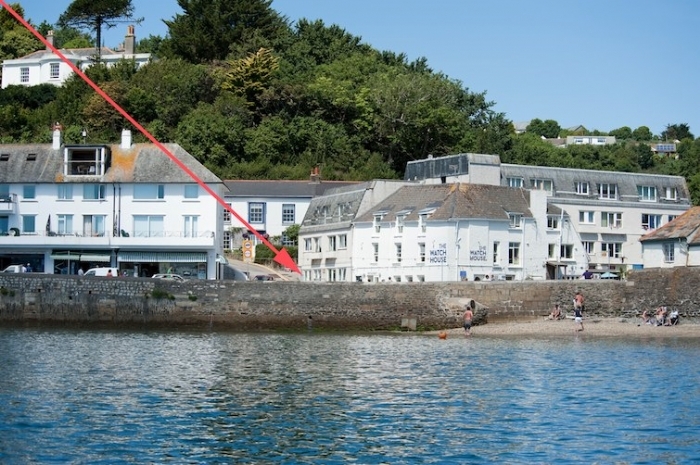 Situated in the heart of St Mawes, a very short walk from the quay, pubs, restaurants and shops. The apartment is beautifully presented and decorated with a bay window that looks down the steps to the picturesque harbour.